Jowar is rich in carbohydrates and high calories. They are gluten free. Normally these are made with hand which are already posted in the blog long back, for the recipe click here. We can make them using a rolling pin also. I have learned it from my friend Geetha. I found it is the best and easy way to make jowar roti. It is the staple food for farmers in villages in the state of Telangana in India even now. They take them with some spicy curry, raw onion and green chilli. 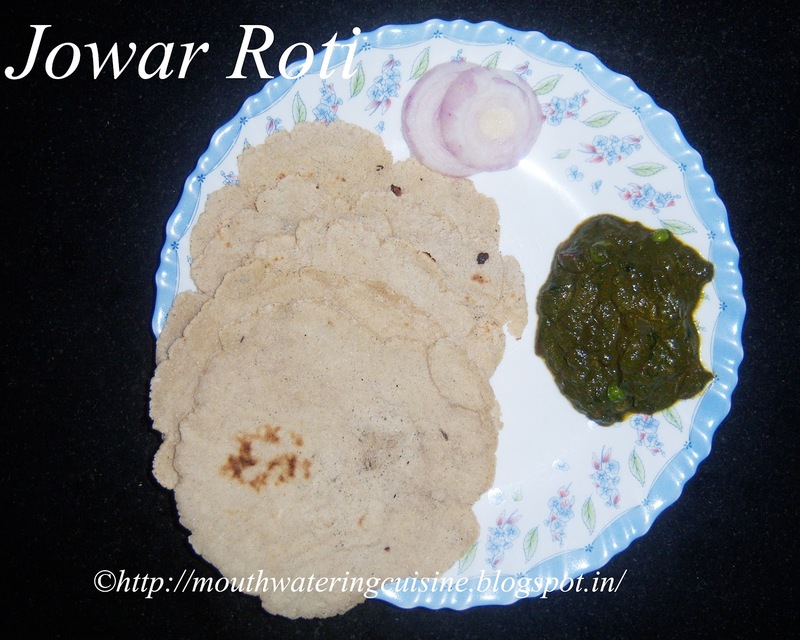 I served this roti with bathua saag. I do not use store bought flour for making rotis, instead get raw jowar and dry them under sun for one or two days. Take them to a near by flour mill and get fresh flour. Boil water in a thick bottomed vessel. When water boiling add jowar flour and stir it continuously. Sometimes this may need more flour also, so keep the flour available. Stir it to make soft dough. Take this dough into a wide plate and knead it well. Take some portion of dough and roll it using rolling pin. Roll it to make 5 to 6 inches discs. Heat tawa, slowly transfer rolled roti on to the hot tawa. Cook on one side for two minutes. Turn it and gently press it with spatula on all sides. Cook it for two more minutes. Serve it with any spicy curry and raw onion. I served it with bathua saag. That recipe will be posted soon. Thank you for dropping in my blog. Hope you enjoyed my recipes. A word of praise or comment on any dish is welcomed. Please do commenting in the comment box. 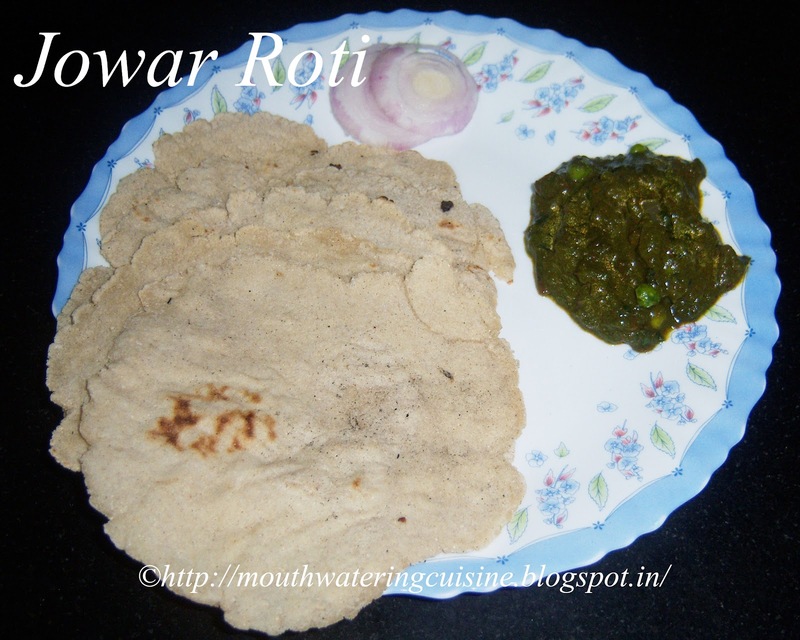 For more roti recipes click here.